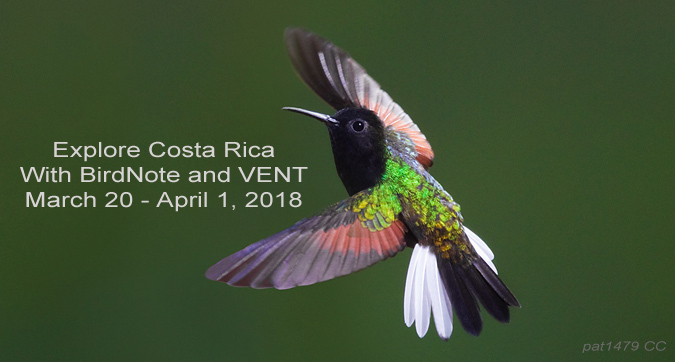 Costa Rica, March 20 - April 1, 2018 - Join us as we team up with Victor Emanuel Nature Tours to visit Costa Rica! 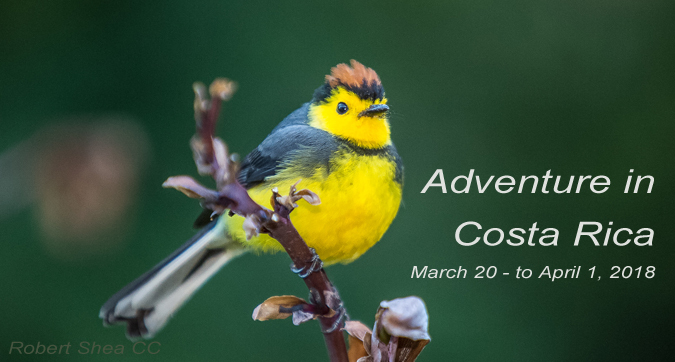 Small, friendly, and close to home, Costa Rica is one of the world’s premier birding destinations. With habitats ranging from lowland rainforest and misty subtropical forest to semiarid ranchland and treeless páramo, and over 850 species of birds in a country the size of West Virginia, there is much to see and do here. A chain of public and private reserves protects key habitats, access to them is easy, and facilities for the ecotourist are well developed. BirdNote host, Kate Godman, along with VENT leaders, David and Mimi Wolf, will guide the way. 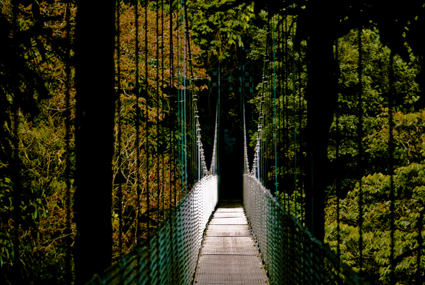 Bosque de Paz, a large private reserve in the subtropical zone, is the lushest area that we visit. Some of the most exciting birds of Central America inhabit this enchanting cloud forest, including Black Guan, hummingbirds in abundance, Prong-billed Barbet, Emerald Toucanet, Spangle-cheeked Tanager, and more. Carara National Park, in the transition zone between the dry and moist forests of the Pacific lowlands, is best known for its remnant population of Scarlet Macaws and is generally a very “birdy” area. The tour highlight may well be our visit to the Caribbean lowlands and the world-famous La Selva OTS (Organization for Tropical Studies) Field Station. Here, nearly 400 species of birds have been found, including parrots, trogons, jacamars, toucans, and tanagers. We will also come to appreciate the more somberly clad woodcreepers, antbirds, flycatchers, and wrens. The distant hoot of a motmot, the quavering and eerie calls of the tinamous, the liquid gurgling of the oropendolas — all combine to produce a beautiful natural chorus. To round out our survey of Costa Rica’s riches, we visit the temperate forests on Cerro de la Muerte, in the heart of the highlands. Expect distinctive species like the Sulphur-winged Parakeet, Ruddy Treerunner, Long-tailed Silky-Flycatcher, Flame-throated Warbler, and Large-footed Finch. 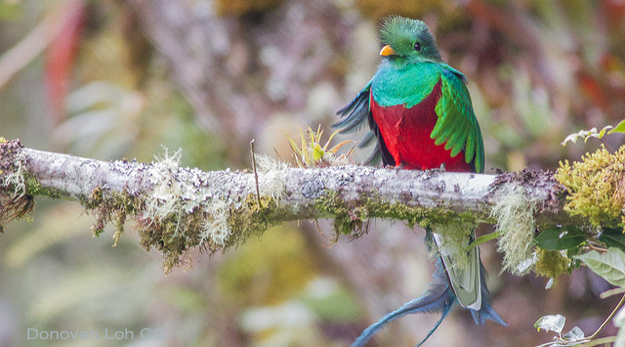 The fabulous Resplendent Quetzal is found throughout these forests. The lovely lodge, in a flower-filled garden above a rushing trout stream, is peaceful and relaxing — the perfect place to end our Best of Costa Rica tour. Finally, we are pleased to announce that a portion of the proceeds (sorry, non-tax-deductible) from this tour goes toward the support of BirdNote programs.